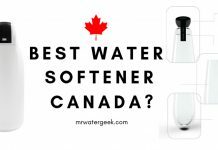 This Aquasana water softener review will look at the 2 top salt free softener models from this brand. 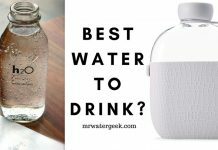 There are various hard minerals in your tap water and the main culprits that produce hard water are magnesium and calcium. When these two come together, they form hard crystals which will stick to anything they come into contact with, and that’s why you get limescale. 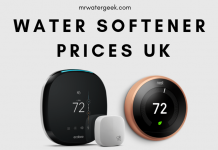 The salt free softening technology works by altering the ionic charge of these troublesome minerals, which means they won’t be able to stick together and create limescale. 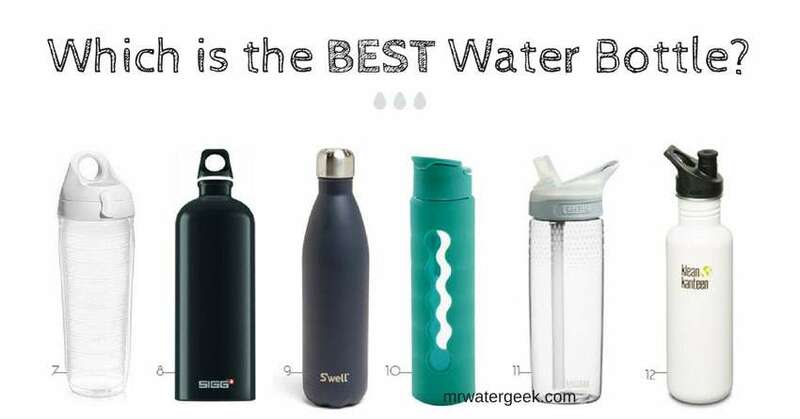 This results in filtered water that is nice to drink and protects your appliances. 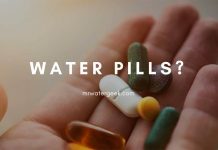 It also means that you still get the benefits of the minerals mentioned, which in small doses are good for you. 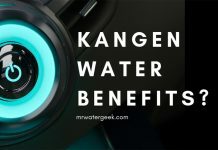 Using these type of salt free softeners can protect internal pipes and plumbing from scale buildup without the use of harsh chemicals or salt. 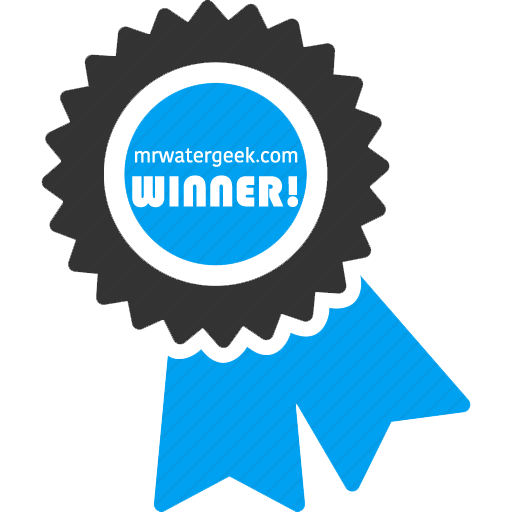 The result of salt-based water softeners can be great for your water supply. 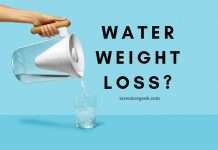 Aquasana say they have decided to take the salt-free route because added sodium (salt) in waste water damages the environment and is difficult for plants to treat. 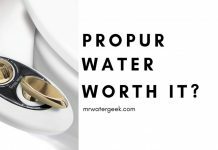 These models are pretty easy to install although you may need a plumber if you have no experience with this type of appliance. 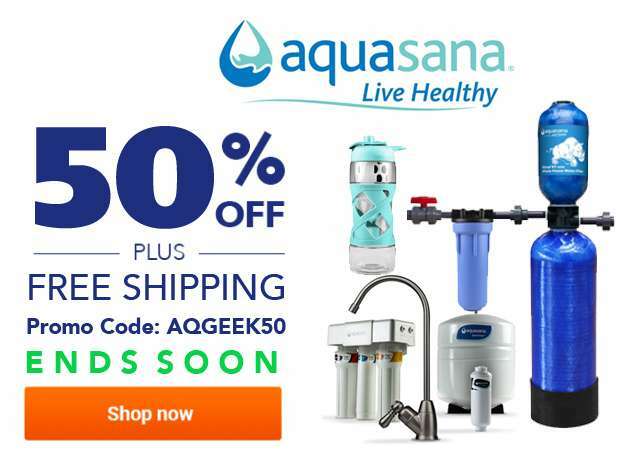 However, you can usually get a FREE installation kit when you buy directly from Aquasana. 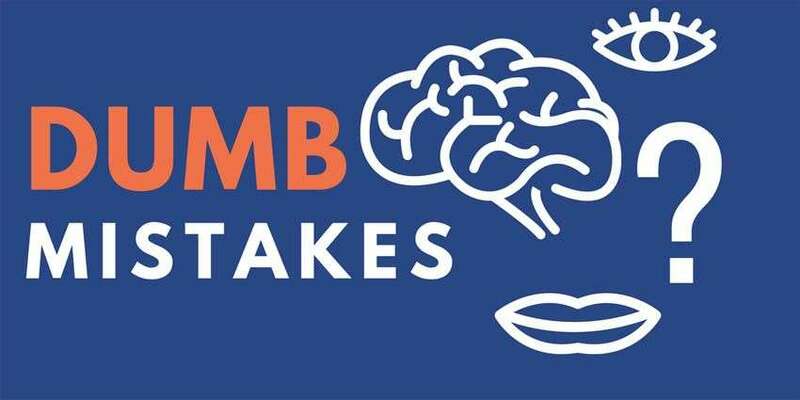 Simply hand over this kit to your plumber and they will know what to do. 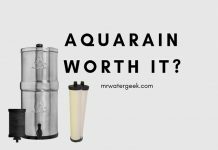 Is Aquasana Water Softener WORTH It? The Aquasana Rhino 10 year or 1 million provides filtration system throughout the house for 1,000,000 gallons of water. 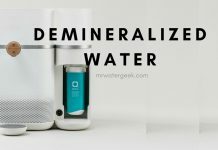 And now this unit comes with an optional salt-free water softener, which means you effectively get a filter and softener combo. Aquasana Rhino comes with an exclusive twin-flow design. This design increases contact time with the water. The result is there is a more powerful retention and it prevents the filter media from being blocked. This can also lead to healthier and cleaner air because chlorine and volatile organic chemicals (VOCs) can pollute the air. Organic chemicals such as pesticides, herbicides and VOCs. 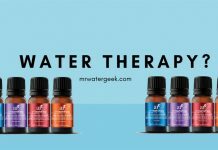 All of this means that using the Aquasana Rhino can help to reduce or eliminate your body’s contact with aggressive chlorine as well as other synthetic chemicals. 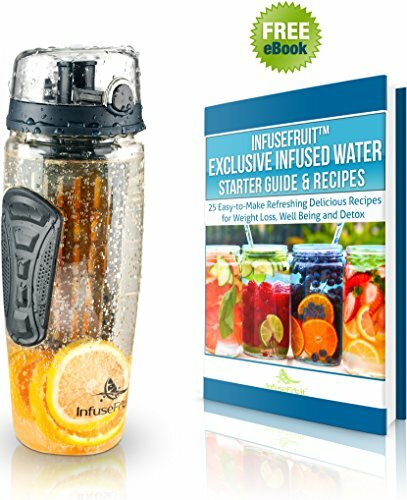 This is particularly helpful for those who are affected by hard water causing damage by over-drying hair and skin. Naturally and safely reduces scale build-up in pipes and inner tubes without the use of salt or aggressive chemicals. 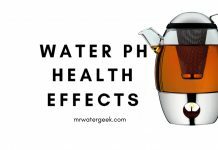 Powerful UV filtering kills giardia and cryptosporidium. 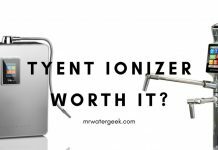 Gives it the capacity to kill 99.99% of viruses like bacteria such as E. coli and chlorine-resistant cysts. The Aquasana SimplySoft salt free is a standalone water conditioner the protects appliances and plumbing by reducing the adverse effects of corrosion and scale.This includes hard minerals like barium, magnesium and calcium buildup. Getting conditioned water from the Aquasana SimplySoft salt-free water softener helps to extend the life of your plumbing.As well as appliances and can even help reduce existing buildup. Thereby prolonging the life of expensive home appliances. 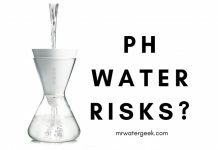 Although it does not technically produce soft water because it doesn’t use salt, it can help to reduce the effects of hard minerals in water. 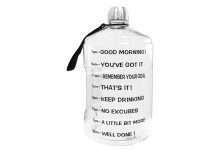 And this helps eliminate spotting or a film residue that appears on your glassware. This also includes the protection of tableware and clothing. You can easily add the SimplySoft unit to any existing Aquasana EQ Rhino system or Aquasana whole house water filter system. 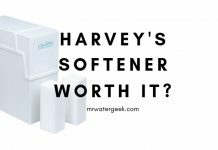 You can purchase the Simplysoft softener as a stand-alone system on Amazon, or as an add on to an Aquasana Rhino. 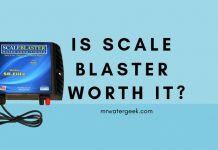 Scale Control Media (SCM) technology uses your home’s water flow to effectively inhibit scale buildup. 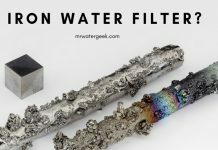 It does this by transforming dissolved hard minerals into harmless, inactive microscopic crystal particles that are harmlessly passed through your water and down the drain. Never lug around heavy bags of salt again. Low to no maintenance, simply set it and forget it. 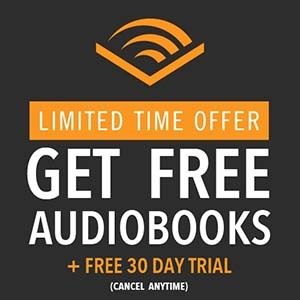 A long lasting system that is easy to replace. The cartridges last 6 year and this doesn’t require heavy bags of salt. 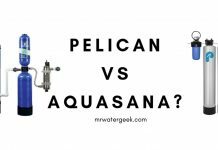 Aquasana SimplySoft does not require electricity, drainage for wastewater, or complicated salt replacement. 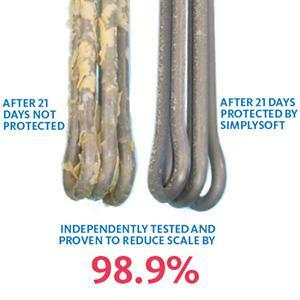 Reduces existing scale buildup and extends life of pipes and appliances. 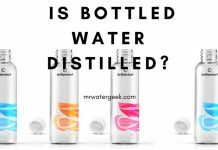 It does not produce soft water but water that “acts” like soft water without the “slipperiness” and sodium content. 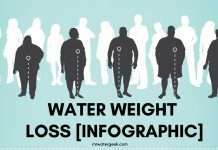 Flow Rate (GPM): 7.0 gallons per minute. 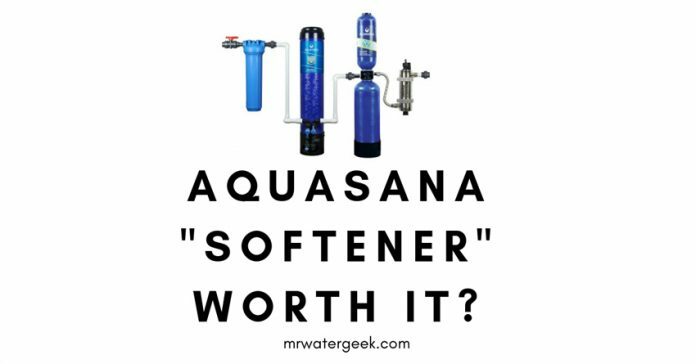 Aquasana SimplySoft NO, "softener" only. 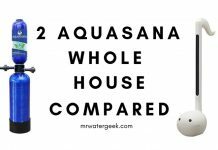 Aquasana 10-Year, 1,000,000 Gallon YES. - UV upgrade removes 99% bacteria, e.coli, giardia and cryptosporidium - 10 year warranty. 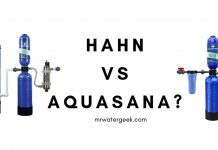 Aquasana are at the cutting edge of producing the best salt free water conditioners. 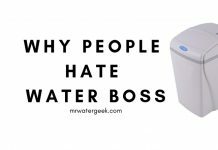 They technically can not be called water softeners because they don’t use salt or sodium. 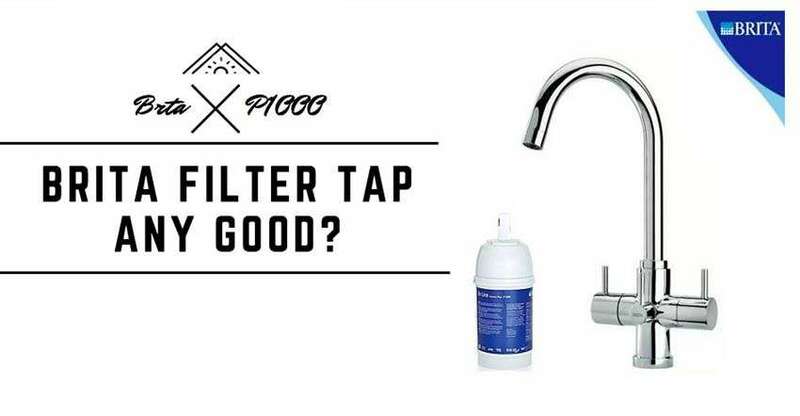 However unlike traditional water softeners the Aquasana Rhino and SimplySoft can also filter your water too. 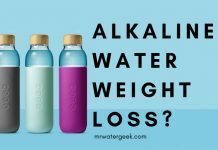 This means you can safely drink the “soft” water that come from these salt free conditioners even though you typically should not be drinking regular soft water. 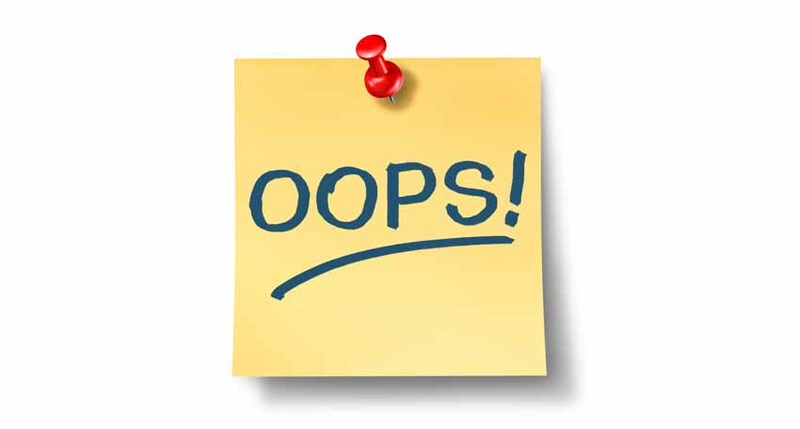 Yes, there is a slight difference between the Aquasana combo whole house filter/softener and SimplySoft. 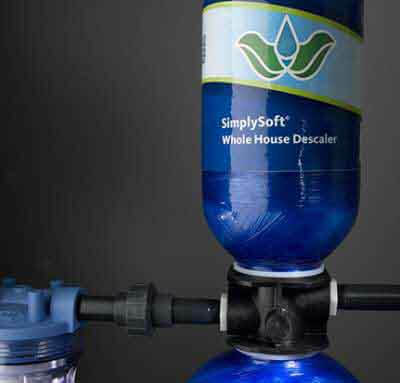 The SimplySoft is a standalone water conditioner and the Rhino is a softener/filter combination. However, in terms of value for money, the Aquasana 10 year Rhino is unbeatable. 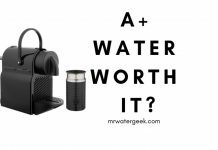 Next articleCalcium Water Filter: Is It Really WORTH Buying?